Who doesn’t love an omelette? 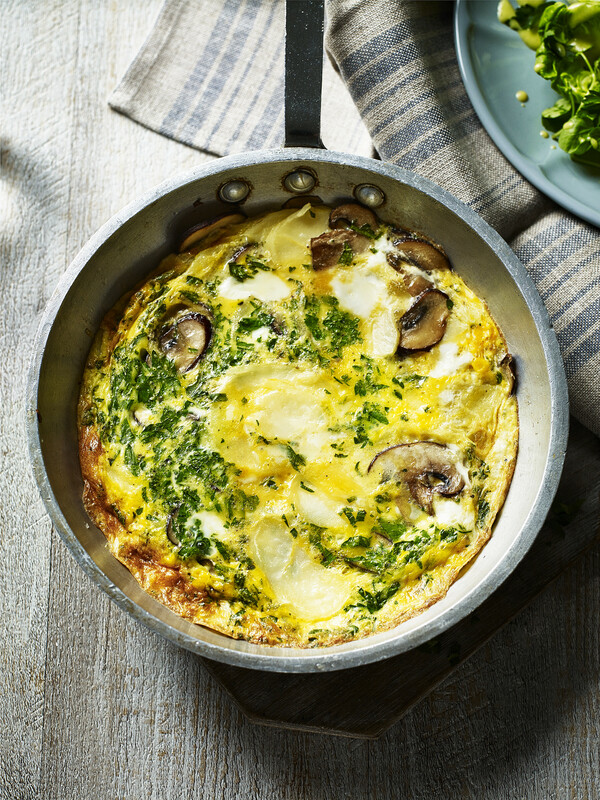 Potatoes are amazing omelette ingredients due to their hearty consistencies which blend beautifully with the eggy base. On top of this fantastic pairing, this recipe also incorporates chestnut mushrooms, parsley and a delightful creamy layer which helps bring variety to the textures on offer. Simple, quick and guaranteed to please!